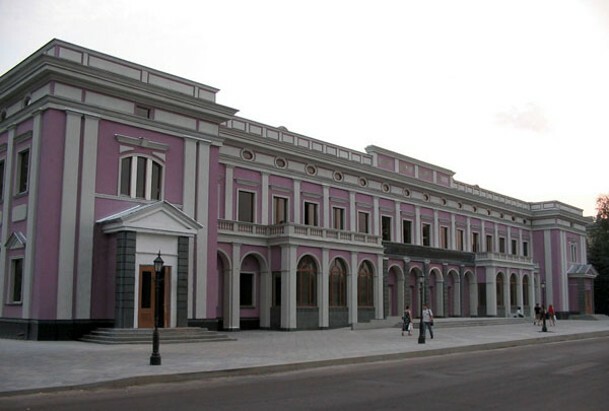 Cherkasy [Черкаси; Čerkasy]. Map: IV-13. A city (2011 pop 287,583) on the right bank of the Kremenchuk Reservoir, the capital of Cherkasy oblast, and a river port on the Dnipro River, with an airfield. 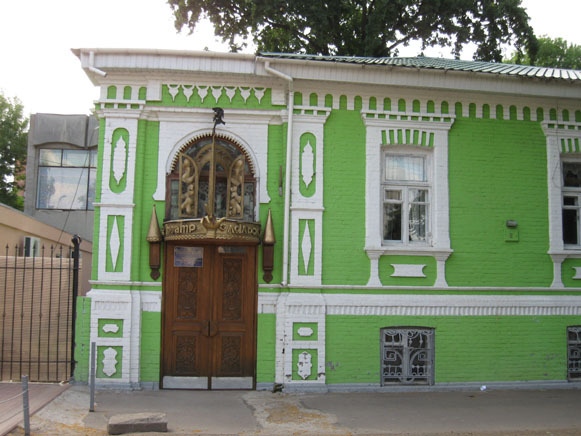 Founded, most probably, in the 13th century, Cherkasy was first mentioned in documents in 1394 as a fortified city in the appanage Kyiv principality of the Lithuanian-Ruthenian state. 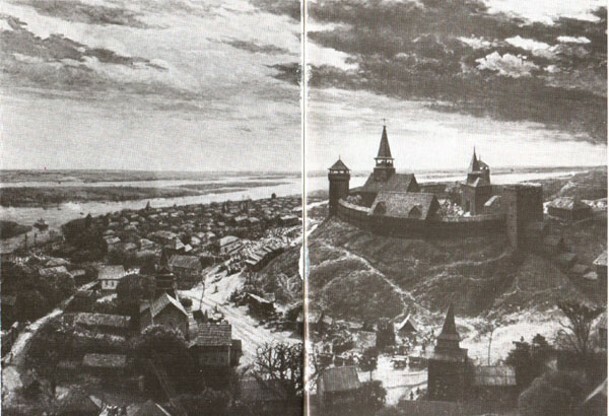 From the end of the 15th century Cherkasy was an important defense outpost against surprise attacks by the Tatars (in 1532 Cherkasy withstood a 30-day siege by the armies of the Crimean khan Seadet-Girei). 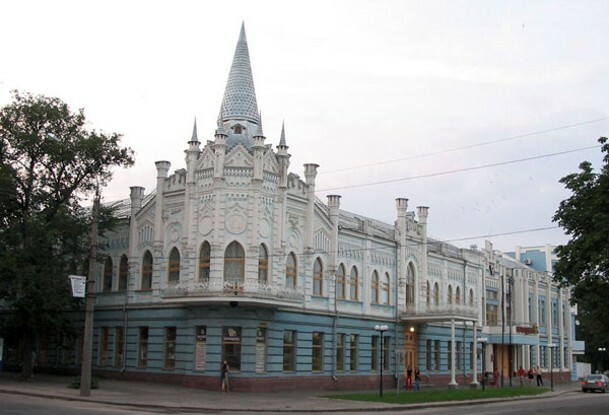 In the early 16th century Cherkasy was the center of the Cherkasy starostvo (district). Among its administrators were Ostafii Dashkevych and Prince Dmytro Vyshnevetsky who organized Cossack forces (see Cossacks) to defend the frontier region against Tatar incursions. After the Union of Lublin in 1569 Cherkasy became part of Poland. 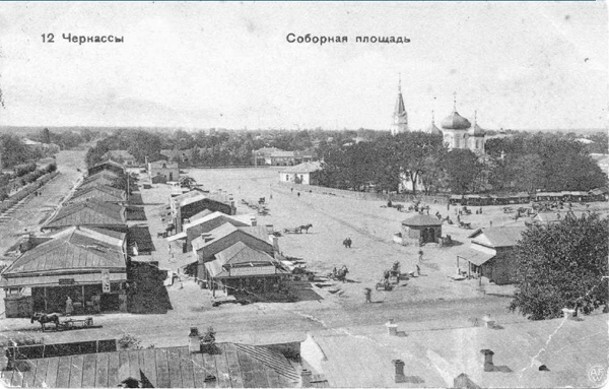 Most of its population was Cossack, and the city played an important role in the Cossack insurrections against Poland. 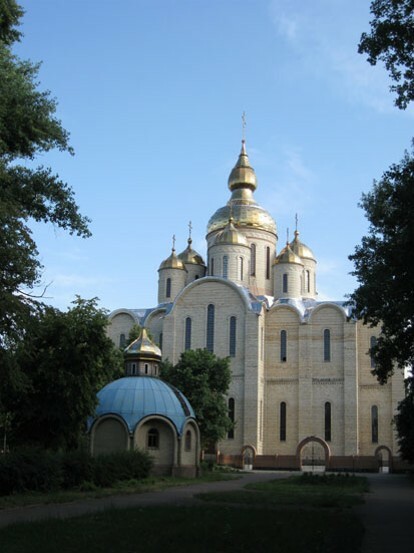 From 1648 Cherkasy was one of the principal cities in the Hetman state of Hetman Bohdan Khmelnytsky; it was a regimental city and the seat of the Cherkasy regiment until 1686 (see Regimental system). After the Treaty of Andrusovo in 1667, Cherkasy again fell under Polish rule. 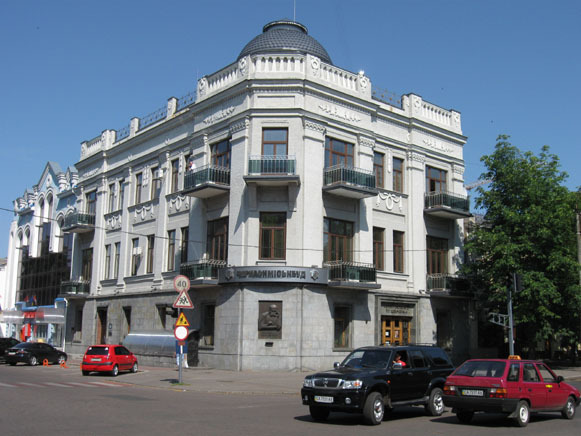 In 1793 the city became part of the Russian Empire, and in 1797 it became a county center of Kyiv gubernia. 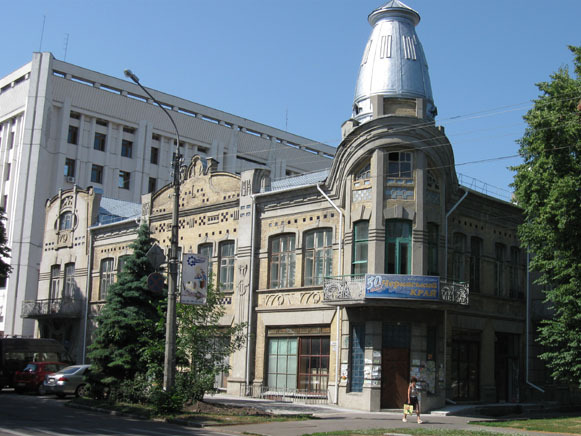 Industry developed in Cherkasy during the second half of the 19th century, especially after the construction of a railroad, a sugar factory (1854), and a tobacco factory (1878). The population grew from 29,600 in 1897 to 39,600 in 1910. 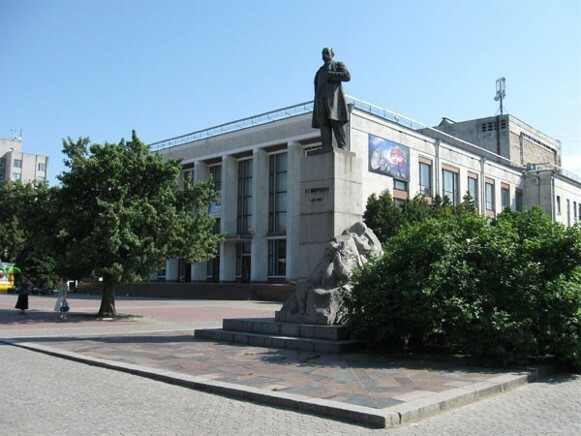 Under Soviet rule, from 1923 to 1930, Cherkasy was the center of Cherkasy (from 1927, Shevchenko) okruha. In 1926 the city's population was 39,500, of which Ukrainians constituted 61.9 percent, Jews 27.6 percent, and Russians 8.6 percent. Industry, especially the food industry and light industry, was expanded during the First Five-year plan. The chemical industry was introduced in the late 1950s. 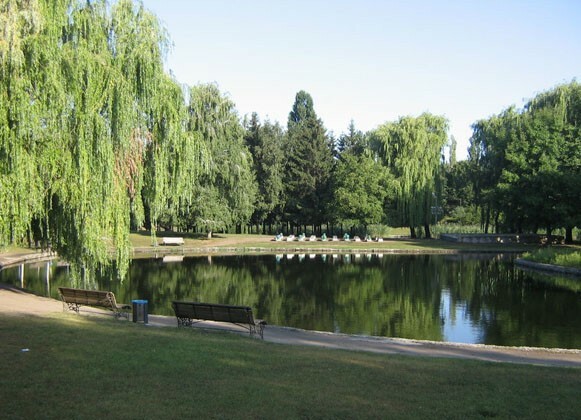 In 1954 Cherkasy became the capital of Cherkasy oblast. This stimulated a rapid growth in population (51,600 in 1939; 85,000 in 1959 [Ukrainians – 70 percent, Russians – 22 percent, Jews – 6 percent]; 158,000 in 1970; and 229,000 in 1977). 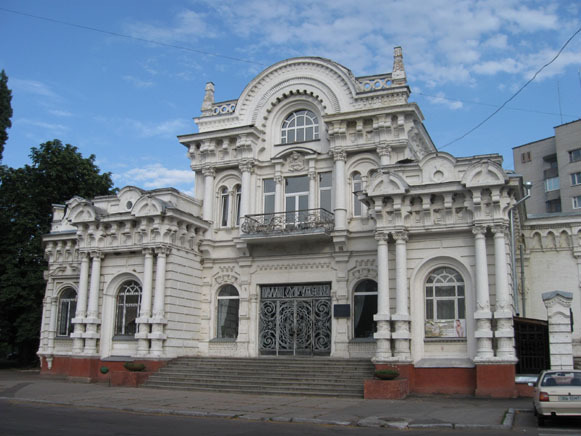 Today Cherkasy is an important economic and cultural- educational center. 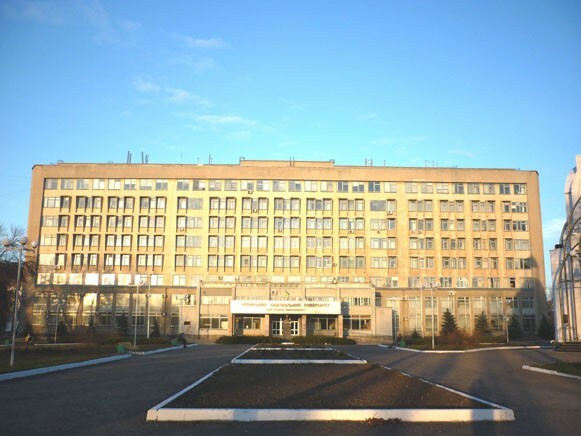 The main branches of industry are: the chemical industry (the VAT Azot chemical complex [est. 1964], a synthetic fibers and thread factory , a chemical reagents plant); light industry (a silk complex , factories producing knitted fabrics, clothing, hygroscopic cotton wool, and fine leather products); the machine building industry (outfitting and equipment for the food industry; an auto repair plant); the food industry (sugar refinery, dairy, brewery, canning factory [1936, today one of the largest in Ukraine], meat-packing plants); and the construction industry (reinforced-concrete products, silicate bricks, housing construction). There are other factories and plants (tobacco , handicrafts, etc). 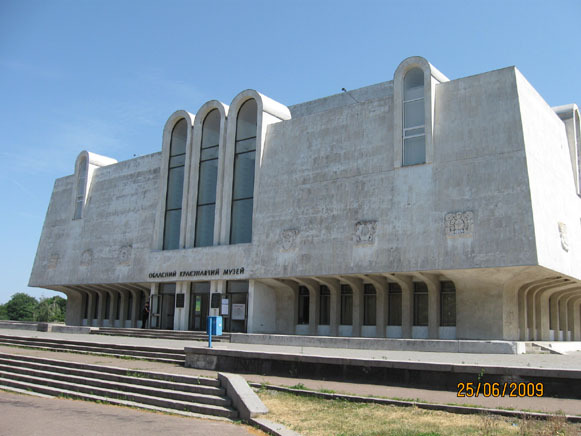 An important cultural and educational center, Cherkasy is the home of the Cherkasy National University; of the Cherkasy State Technological University; of a medical college and various tekhnikums specializing in electrification and agricultural construction, finances, and management; of the Cherkasy Oblast Academic Ukrainian Music and Drama Theater and a puppet theater; of a philharmonic society, a planetarium, the Cherkasy Oblast Regional Studies Museum (est 1918), and an art museum. 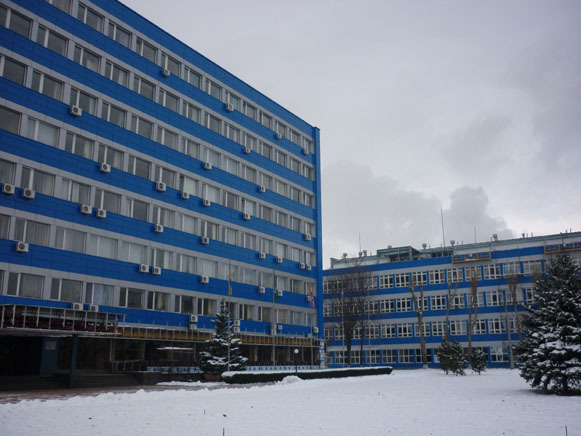 The oblast newspaper Vechirni Cherkasy is published here. 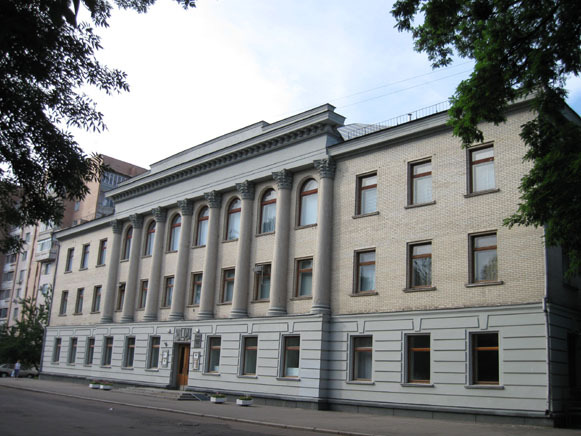 The poet Vasyl Symonenko lived and wrote in Cherkasy and his literary memorial museum was established here in 1998. 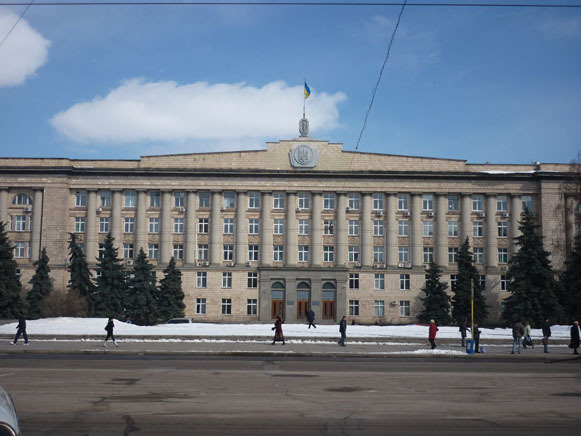 Cherkasy is a modern and well-planned city, developed according to several comprehensive plans, primarily those of W. Hastie in 1826 and of the Kyiv Dnipromisto construction firm in 1932, 1950, and 1962–5. The city has no major historical architectural monuments. 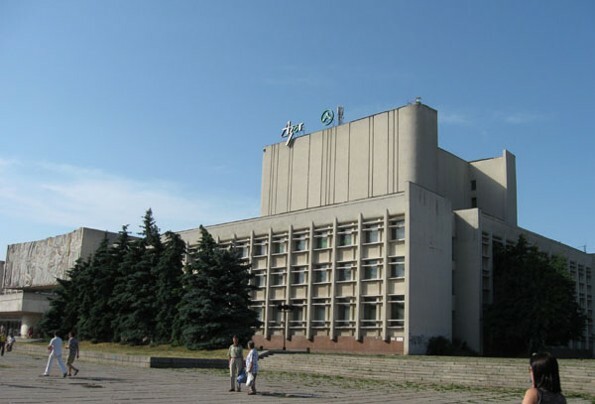 Among the finer public buildings, erected between 1959 and 1971, are the Palace of Culture, the railway station, the Music and Drama Theater, the former Sloviansky Hotel, and the covered farm market (1971). 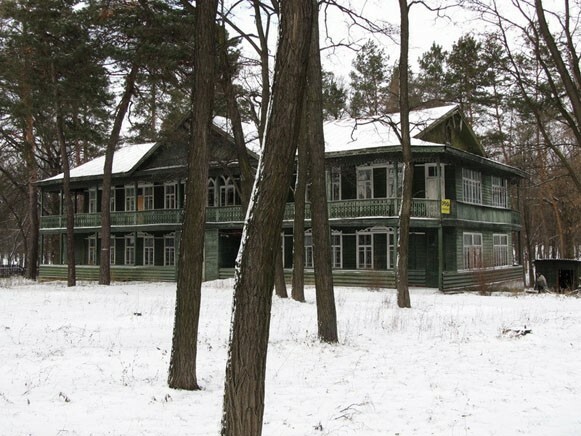 The Sosnivka health resort for treating tuberculosis of the lungs and bones is situated in the northern suburb of Cherkasy in a pine forest on the Dnipro River.